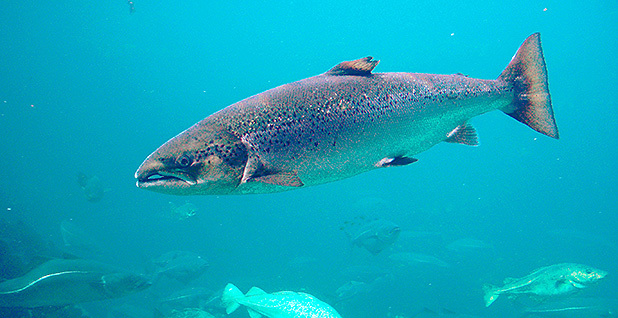 If all goes as planned, a Massachusetts biotechnology company will soon begin importing salmon eggs from a Canadian hatchery to its plant in Indiana, where they'll grow into the first genetically modified salmon ever produced in the United States. AquaBounty Technologies Inc. won approval for its long-delayed plan last week, when federal regulators lifted an importation ban that had prohibited the eggs from entering the country. But opponents, who deride the new salmon as "Frankenfish," say the fight will go on and that they'll ultimately block the company, either in the courts or Congress. Critics fear the fish might escape and damage wild salmon, and they're particularly angry that the federal government plans to allow the genetically engineered salmon to be made and sold in the United States without clearly marked labels. The fish's proponents have said those critics are just being protective of the existing industry's market share. Some lawmakers and environmental groups say the government's new labeling guidelines are insufficient and will only cause confusion. They'll allow producers to use QR codes or provide 1-800 numbers that consumers can use to get more information, and companies will be permitted to describe the fish as "bioengineered," a term that opponents say is unfamiliar to most Americans. "We need to call these products what they are, which is GMOs [genetically modified organisms] or genetically engineered food," said Dana Perls, senior food policy campaigner for Friends of the Earth, an environmental organization. She also said most consumers have already sent a clear message that they don't want genetically engineered food, noting that more than 80 grocery store chains and retailers — including Costco, Safeway, Whole Foods and Target — have already promised not to sell it. On Capitol Hill, some of the loudest criticism has come from Republican senators in salmon-rich Alaska, who say Americans have a right to know exactly what they're buying and eating. Sen. Lisa Murkowski (R), Alaska's senior senator and the chairwoman of the Senate Energy and Natural Resources Committee, called the decision by the Food and Drug Administration "wrong-headed and a bad idea, simple as that." "I continue to have serious concerns about splicing DNA from two animals to produce a new marketable fish, essentially creating a new species," she said. Sen. Dan Sullivan (R), the state's junior senator, tweeted that FDA's decision was "wrong and totally unjustified." "American families deserve to know when they're serving their families wild Alaskan salmon versus some genetically tampered fish," said Sullivan, chairman of the Senate Commerce, Science and Transportation Subcommittee on Security. While federal regulators are "weakening" labeling guidelines, he said: "We will not give up this battle to protect Alaska's world-class and sustainable fisheries and the right of fish consumers to know what they're putting on their dinner plates." FDA first reviewed genetically engineered salmon in 2015 and concluded that it posed no health risks. But the agency imposed its import ban in 2016 and said it would remain in effect until labeling rules were in place. The Department of Agriculture published the new labeling guidelines in December, setting the stage for AquaBounty to proceed. In giving the company its final approval last Friday, FDA Commissioner Scott Gottlieb reiterated both that the fish is safe to eat and that the genetic construct added to the fish's genome is safe for the animal. 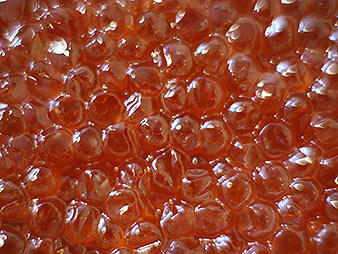 "With the deactivation of the import alert, AquAdvantage salmon eggs can now be imported to the company's contained grow-out facility in Indiana to be raised into salmon for food," he said. Sylvia Wulf, AquaBounty's CEO, said the company was delighted with the FDA decision and would "immediately start the process" of importing eggs from Canada. She called the decision "an important achievement not just for AquaBounty, but for biotechnology and agricultural innovation in general." "Approximately 350,000 tons of Atlantic salmon are consumed in the United States with more than 95% of it imported," Wulf said in a statement. "FDA's actions will allow for production and sale to begin here in the U.S., bringing opportunity for investment in rural America, creating American jobs, while also reducing dependence on seafood imports." But opponents say the fight is far from over. A challenge is underway in the courts, with the Center for Food Safety questioning whether the FDA has the legal authority to approve the genetically engineered fish. And Murkowski wants Congress to approve a bill, S. 282, that she introduced in January requiring the fish to be clearly labeled as "genetically engineered." She said that allowing producers to sell the fish by using QR codes or 1-800 numbers "is a far stretch from giving consumers clear information." "If we are going to allow this fabricated fish to be sold in stores, we must ensure there is at least clear labeling," Murkowski said. "Americans should not become test subjects for this new product without their full knowledge and consent."